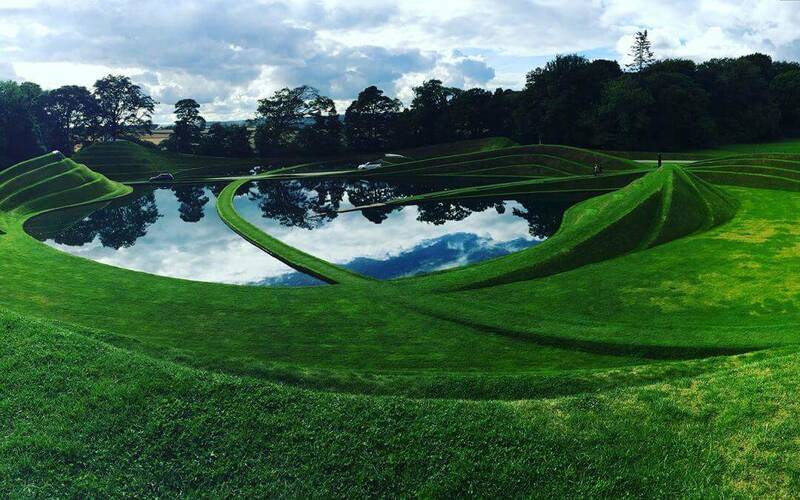 Jupiter Artland: The beautiful modern art park near Edinburgh you can’t miss! Jupiter Artland is a large sculpture park near Edinburgh open to the public half the year. The garden is a collaboration between the family, the artists and the landscape. All the works are site specific and personal to Jupiter. The end product is a journey, narrated by the various artists who are given the freedom to express themselves in the landscape. The transitory nature of the sculpture park makes it hard to believe it is only ten miles outside of Edinburgh. Recently nominated for the prestigious Art Fund Museum of the Year award, Jupiter is open to the public half the year. There is a direct bus from central Edinburgh and the journey takes 35 minutes. The number 27 and X27 First Bus leaves from Edinburgh (Regent Rd) or from Dalry Road, Haymarket. The bus driver will stop at a bus stop called Jupiter Artland. On your way back to Edinburgh, you would find the bus stop just to the right of the main gates as you leave Jupiter. Currently the West Lothian Council have removed the bus stop, but buses still stop if signalled to.